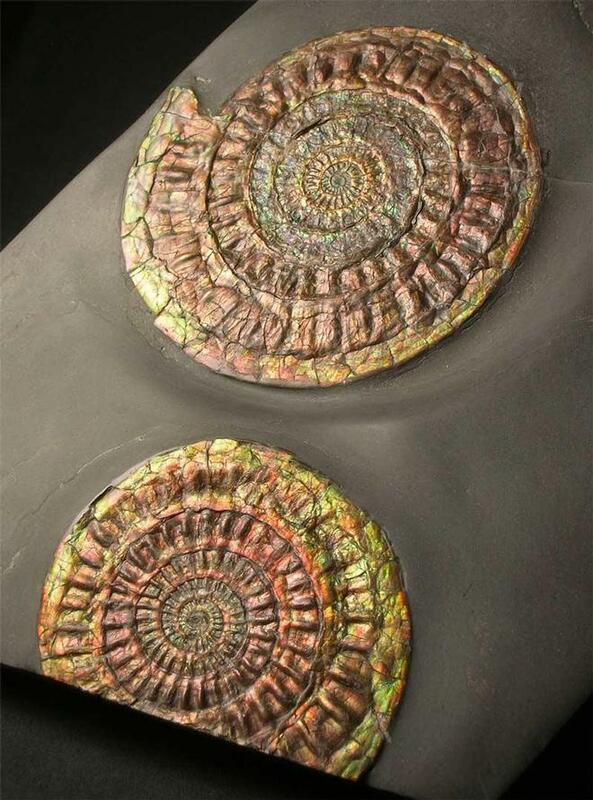 A bgeautifully preserved double Caloceras piece which when turned towards the light, displays natural intense irridescent colours, including orange, red, green, bluem, purple and yellow. This amazing specimen has been fully prepared and was discovered in 1972. 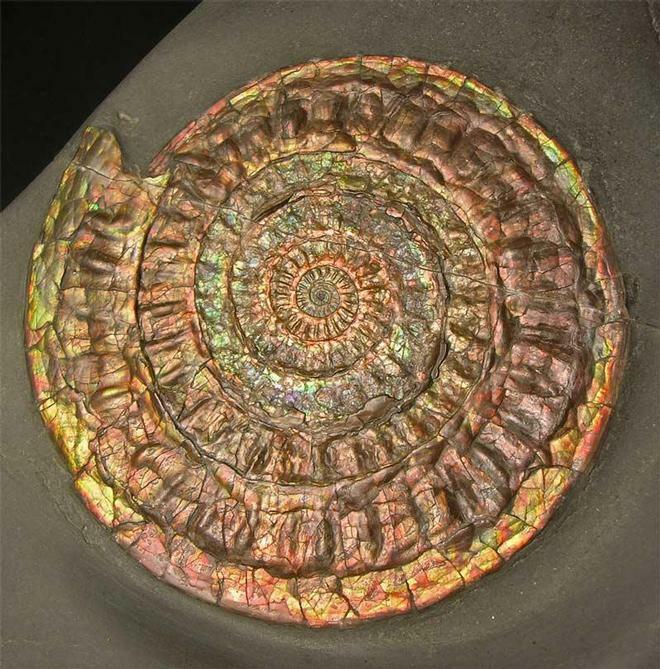 There is a thin calcite vein running through the top of the ammonite which does not detract from the aesthetics whatsoever. 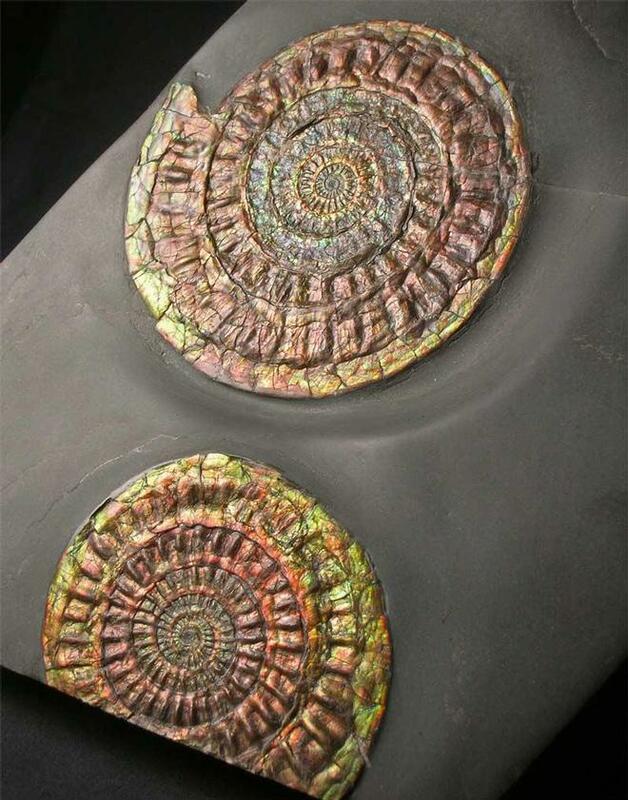 This classic Lower Lias ammonite is becoming increasingly difficult to obtain thesedays due to a collecting ban on this stretch of coastline. 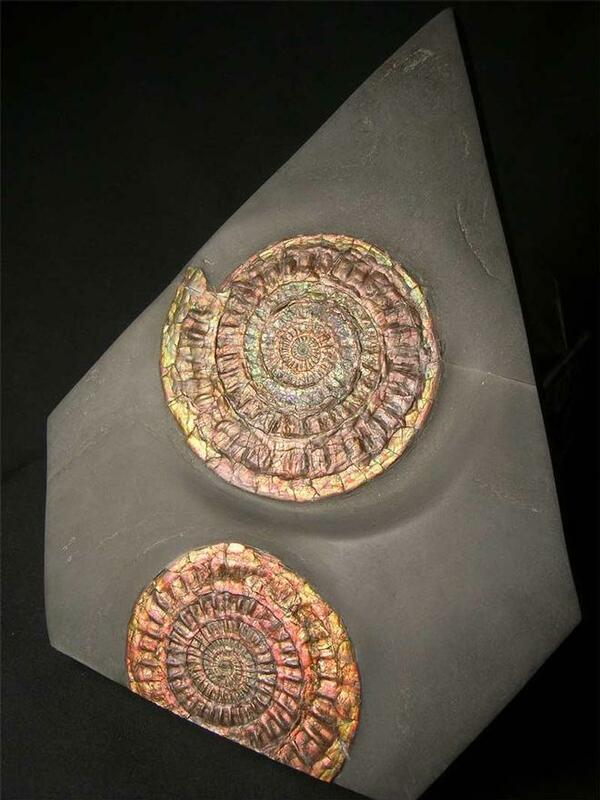 The matrix has been shaped and is approximately 208 million years old.